Just in! Check out this Virgin Unmolested 2012 Wrangler JK! 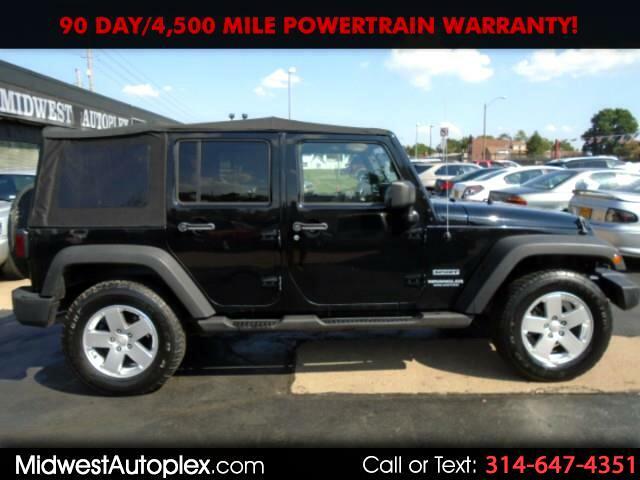 It’s one of the most popular Unlimited 4x4 Jeeps out there, it’s proven to be safe, reliable and an excellent investment--a proven value you’ll love. Make it yours before it’s gone! CARFAX RETAIL VALUE $24,740!! CHEAP CHEAP!! DISPLAY YOUR SUCCESS!! The Jeep you've always wanted!!!! Tuxedo Black!!! Perfect Color Combination!!!! 4x4, NEW SOFT TOP, 3.6L V6, MANUAL 6 SPEED, POWER EVERYTHING, POWER WINDOWS AND LOCKS, TOW PACKAGE, Running Boards, RUST FREE!! XM SATELLITE, AUX IMPUT, CD, 2 OWNER, TIRES 80% TREAD LIFE REMAINING, NO PRIOR ACCIDENT REPAIRS, absolutely STUNNING!! Best Price in Town. FREE Warranty, Safety and Emissions Inspected, Mostly Carfax Clean! Just e-mail us & we'll fwd you a FREE copy. EASY No Haggle Price! A+ rated by Better Business Bureau. Our Clients are extremely important to us and it shows, Financing Available (W.A.C.) at 3.75%. Try $384 per month with NO MONEY DOWN!